(c) Where the policies set forth in subdivisions (a) and (b) of this section are in conflict, any court’s order regarding physical or legal custody or visitation shall be made in a manner that ensures the health, safety, and welfare of the child and the safety of all family members. The first consideration the court makes in deciding a move away order is the status of custody of the child (joint or sole custody). Joint custody is when the parents share custody. The court will hold an evidentiary hearing to determine whether the party requesting the move has met his/her burden and to determine what is in the best interests of the child. When one parent has sole custody, he or she has a “presumptive” right to move the child, and the non-custodial parent will have to make an initial showing of “detriment” to the child, before the court will even hold an evidentiary hearing. Establishing “detriment” can be extremely difficult. 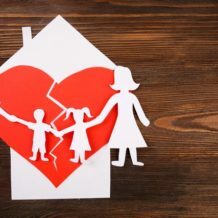 The non-custodial parent must show more than a harmful impact on the child due to the move, in order to establish detriment (such as the potential impact on his or her relationship with the child). If the non-custodial parent can establish an initial showing of detriment, the court then conducts an evidentiary hearing to consider the move away request. At the evidentiary hearing, the court considers documentary evidence and witness testimony. California law requires that children 14 and older must be allowed to testify (unless the Court finds it will be harmful to the child to do so). Children under 14 may also give their preference if the Court finds it appropriate. While the child can actually testify in open court, many judges prefer to have the information gathered by a mediator or other professional evaluator, so that the child does not have to state in open court which parent he or she would prefer to live with (which could be traumatic for a child). Maintaining stability and continuity in the child’s life. When looking at maintaining stability, the court looks at how much time the child spends with each parent; how long the current custody order has been in place; the child’s ties to friends, school, and community; and any special needs the child might have. Distance of the move. A move that is a reasonably short drive will be viewed as less disruptive than a proposed move across the country or overseas. The court will also consider cultural differences in the location of the proposed move and its impact on the child. Age of the child. The courts will likely scrutinize a move involving a very young child more closely than an older child. Where the child wants to live. As indicated above, children 14 and older in California must be allowed to express their opinion about where they want to live, and with which parent. The reason(s) for the move. While the parent does not have to show “necessity” for the move, the court will look at the purpose of the move, especially if there is any evidence the move is being made in bad faith (such as to interfere with the relationship between the child and other parent). The court will analyze the history of the relationships, to see if there is a pattern of “restrictive gatekeeping”, such as negative talk about the other parent in front of the child or a failure to communicate about important events and information involving the child’s life. The relationship the child has with each parent. The court will look at the primary attachment the child has; whether the child is estranged from one parent; and whether there is conflict between the child and either parent. The relationship between the parents and their ability to co-parent effectively. The court will look at how well (or poorly) the parents communicate with each other; whether they can put their child’s interests ahead of their own; and whether they will facilitate contact between the child and the non-custodial parent. Due to the fact that move away cases are so complicated with no clear-cut guidelines for the court to follow, it is imperative that you contact a family attorney to discuss the facts and your options before you seek to have the court approve your move away order.